Ultimate Fighting Championship (UFC) is bringing a bantamweight battle between top contenders Aljamain Sterling and Raphael Assuncao to the upcoming UFC Fight Night 102 mixed martial arts (MMA) event, which takes place Fri., Dec. 9, 2016 inside Times Union Center in Albany, New York, exclusively on UFC Fight Pass digital network. ESPN brought word of the pending showdown on Tuesday. 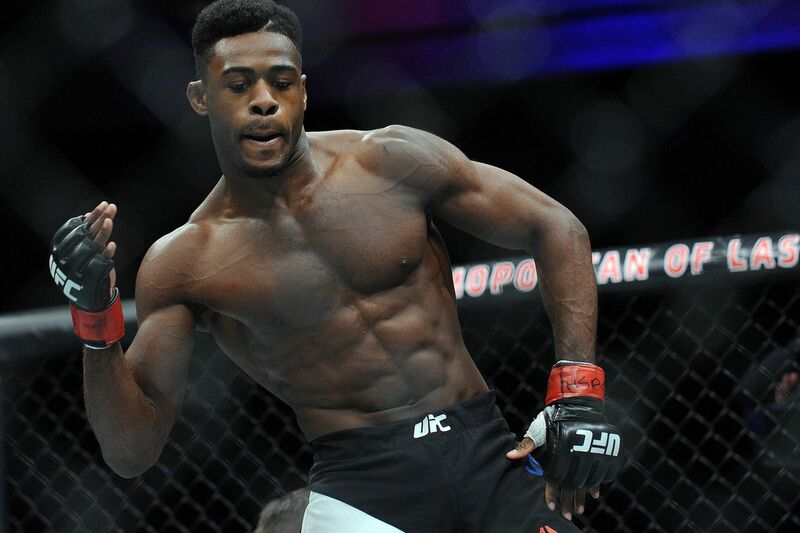 Sterling (12-1) lost some ground in the bantamweight top 10 after a split decision loss to Bryan Caraway last May. Getting struck by “Kid Lightning” snapped a 12-fight win streak and put “Funk Master” in a divisional holding pattern. That all depends on his performance against Assuncao (23-5). The Brazilian is also coming off a recent loss, ending a run of seven consecutive wins, thanks to a unanimous decision defeat to ex-champion TJ Dillashaw at UFC 200. No other bouts have been announced for UFC 102; however, you can expect that to change in the coming weeks, if not days.